BoA has expressed her gratitude to TVXQ’s Yunho, who made a cameo in her Hollywood movie, “Make Your Move”, through the showcase “BoA’s Love Letter” at CGV Cheongdam in Seoul. “I thanked Yunho for appearing as a cameo. He came to America and quickly memorized the choreography to film his part. I wanted to buy him a meal, but failed to do so since he was busy and immediately left after finishing his part. I want to thank him for showing a good performance even he was very busy,” said BoA. In “Make Your Move”, Yunho made a cameo as a famous club dancer, which attracted attention with a perfect 100% poppin skill. He will also show off his dance moves with his unreleased solo song, which increase the anticipation among fans. TVXQ also participated in the OST for the movie, in the track “Runnin’ On Empty”. “Make Your Move” is a romantic dance movie starring BoA and ballroom dancer Derek Hough. The movie will be premiered in Korea on April 17 and on April 18 in the United States. 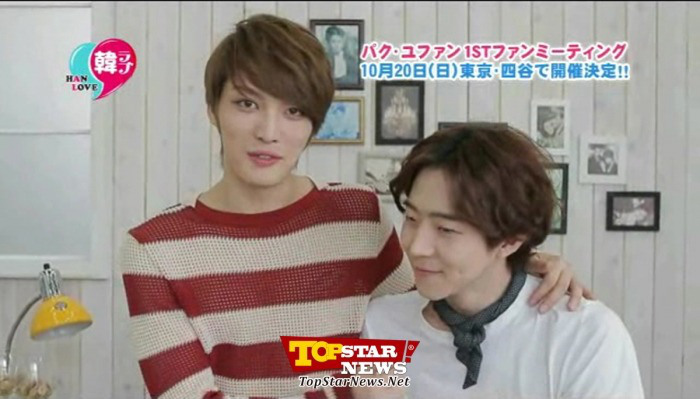 Kim Jaejoong has proved yet again just how popular he is in Japan. Although Kim Jaejoong has not been able to appear on programs recently, his dramas ‘Protect the Boss’ and ‘Dr. Jin’ are extremely popular in Japan. He also held a solo concert at the Yokohama Arena recently that attracted over 45,000 fans, more evidence that his popularity is stronger than ever. Meanwhile, Kim Jaejoong is currently taking a break after successfully completing his Asia Tour and is planning to greet fans with a new project soon. 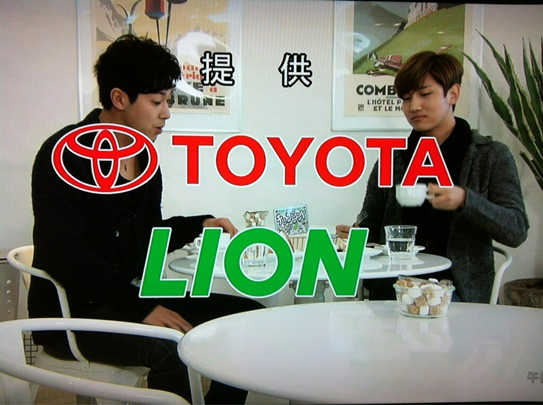 TVXQ have appeared in a preview of the FujiTV drama ‘Saki’. In the preview of the last episode of the FujiTV drama ‘Saki’, a scene showing TVXQ making a cameo appearance in a cafe was aired and drew the viewers’ attention. This is the first time that TVXQ have appeared in a Japanese drama and the cameo took place at the request of the drama’s director during TVXQ’s visit to the drama’s set to support the cast and staff. Though all that was aired was the members eating cake and showing how delicious it was on their faces, it was enough to capture the attention of the viewers. A screenshot of TVXQ’s appearance began circulating on Japanese SNS as soon as the preview aired and quickly spread to Korean community sites as well. In the press conference held of “Living in Cheongdam-dong” on 25 November at 2pm, highlight videos of “Living in Cheongdam-dong” were revealed. In this video, which included passionate acting from the “Nation’s Mother” Kim Hye Ja as well as Hyun Woo and Lee Sang Yup, U-Know Yunho made a sudden appearance, surprising those at the press conference. In the sitcom, U-Know Yunho plays a Hallyu star who rents comic books without returning them, then goes into Kim Hye Ja’s comic book room without paying for the rental of space, resulting in his shaming that led to much laughter from the audience. When it was announced that Jung Yunho, who is making a special appearance in “Poseidon”, would soon be departing from the show, netizens have started sighing that it is a pity. Jung Yunho is currently making a special appearance in KBS2 TV’s new Monday-Tuesday drama “Poseidon” as a Marine Police Special Forces Tactics Team leader, Kang Eun Chul. 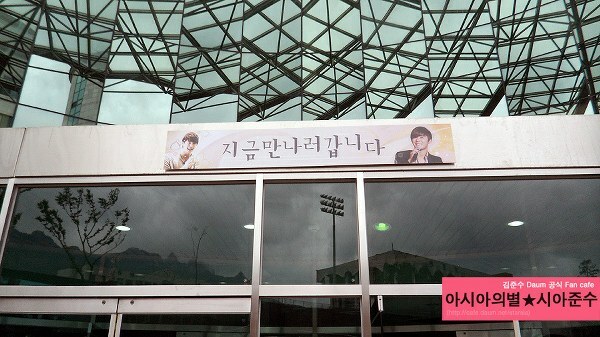 In the drama, Jung Yunho and Choi Siwon, who is acting as Kim Seon Woo, are together helming the first part of the drama. 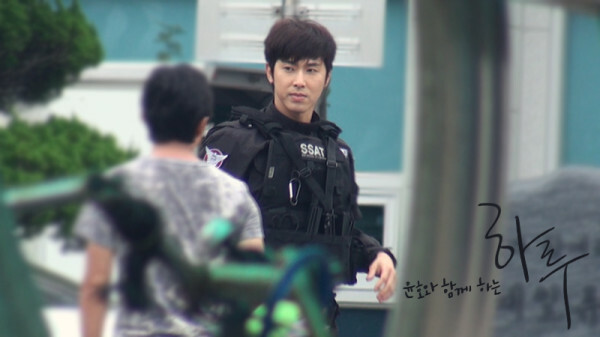 Initially, although it was known that Jung Yunho’s special appearance would only be a small role, as expected, due to his impactful role, when the drama actually started airing, he became responsible for being one of the pillars of the drama through a role that is as important as that of the main leads. In reality, he and Choi Siwon, who are from the same company, had displayed a spectacle through their various actions in the fighting scenes. 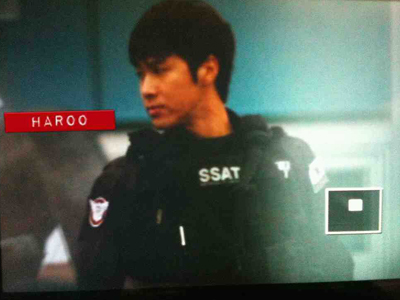 In the first episode, Jung Yunho entered with a bang through an action scene in the air. For the 2nd episode broadcast on September 20, to rescue his colleague Kim Seon Woo when they were dashing through enemy premises, he got shot by a gun and suffered injuries. With his injured body, he was also held hostage by the enemies. However, before the drama started, it was known that Jung Yunho would only be appearing until the 4th episode, so sighs of pity have arisen. Netizens lamented that it was a pity to see him off the drama soon, “Oh no. The Kang Eun Chul who will be appearing only up till the 4th episode is awesome”, “Yunho is a small role?”, “I want to be the one holding him hostage“, “Is this Ho-seidon?“, “If I fall in love with Kang Eun Chul, will it be the end of me..“, “It’ll be great if he stayed till the end”. Please Keep All Credits Intact, thanks. TVXQ’s Yunho will be making a special cameo appearance in KBS’s ‘Poseidon‘! On August 10th, the drama’s production company explained that although Yunho was originally cast for the ‘Poseidon’ line-up, his busy overseas schedule prevented him from joining. They revealed that Yunho promised his continued friendship to the drama by making a cameo appearance instead. 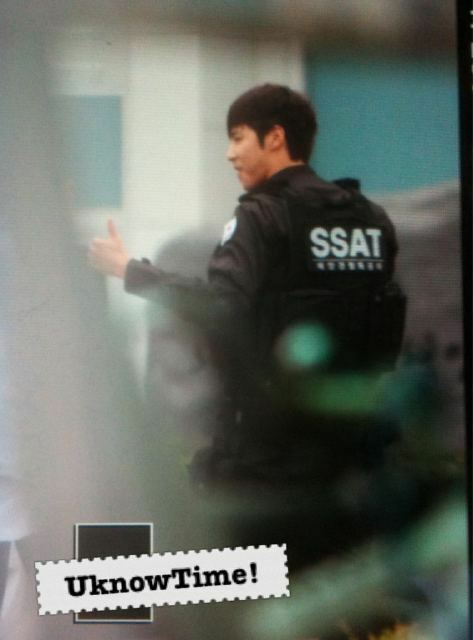 Yunho will be playing the role of the skilled ‘Kang Eun Chul’, the team leader of ‘Poseidon’. He’ll be pitted against labelmate Choi Si Won’s character, ‘Sun Woo’, a man who’s described to be principled through and through. The drama begins airing next month! JYJ Kim Junsu’s previously unreleased performance cuts for MBC TV drama “Scent of a Woman” has been revealed. 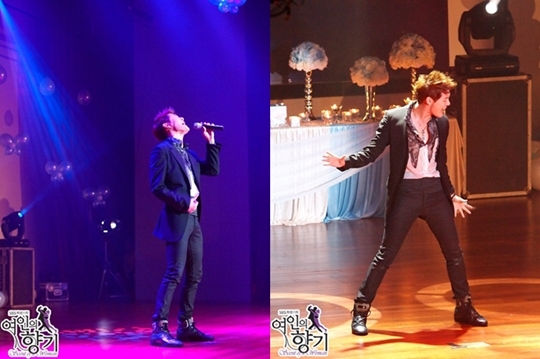 On 8 August, the SBS homepage released a large number of Kim Junsu’s performance cuts. Kim Junsu, who participated in the “Scent of a Woman” OST with “You are so Beautiful” also made an appearance as a character with the same name. 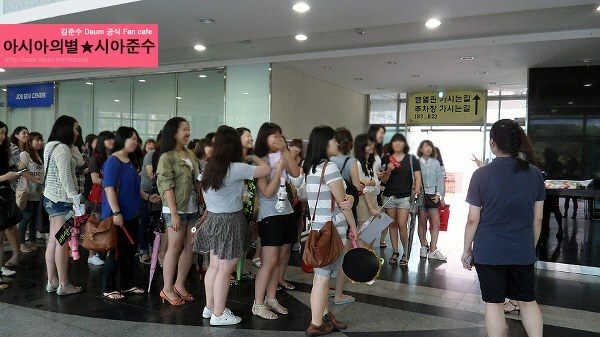 To shoot the scene in the drama for hallyu star Kim Junsu, a mini-concert was held. 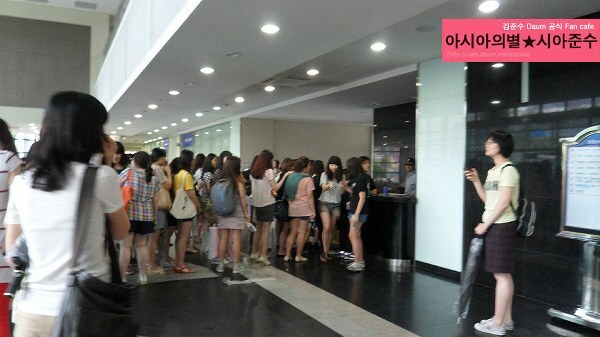 This was one of the items in Lee Yeon Jae’s list, to watch Kim Junsu in concert. He also had a 1-on-1 date with Lee Yeon Jae, where he displayed his charm. During the concert, Kim Junsu performed “I can Soar” from JYJ’s worldwide album “The Beginning” as well as his Japanese single “Intoxication” and others, with approximately 500 fans turning up with placards and banners to support him, creating an atmosphere similar to a real concert. Netizens have requested for the concert performance video to be released. They said, “Please broadcast the full version of Intoxication,” “Can’t you reveal the full performance?” “I want to go on a date with Junsu like Yeon Jae did,” “I definitely had to watch the broadcast because of Kim Junsu,” and other reactions. The joy that I got from watching June’s cameo appearance in “Scent of A Woman” was that ability he has to laugh at himself. His rapport with the audience was fun to watch, especially because you know that this is in fact a reality for him. While on the dinner date–the inferences as to what made Lee Yoon Jae love him were facetiously, wittingly, but adorably said. Junsu could sense her pain and sang a love song to try to ease it if he could. Kim Junsu is a brilliant actor because of his musical talent, energy, and improvisational ability. He thinks on his feet and ingenious words come out spontaneously. Combining his singing with acting is a natural talent. Junsu could sing the fly out of the old woman. “You Are So Beautiful” brings tears to my eyes. 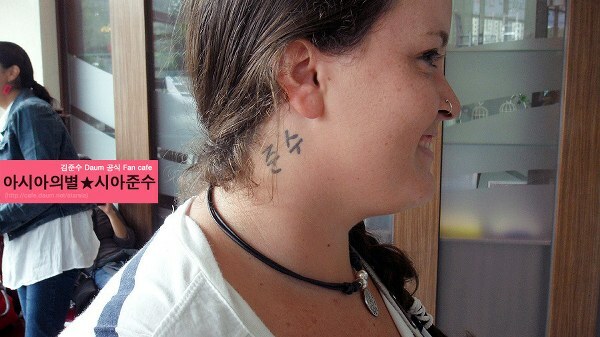 Less anyone assume that I am saying that Junsu did not put his all into this appearance, oh contrare’. 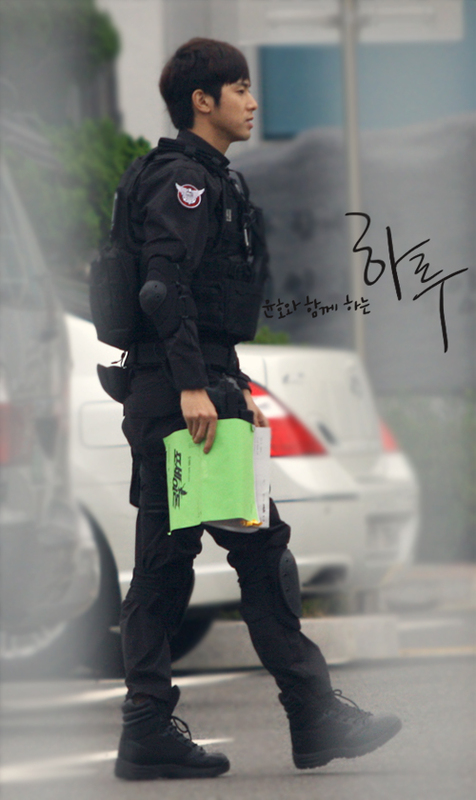 Kim Junsu is a sincere, hard worker at anything he does. He takes pride in his endeavors, and this was a refreshing addition to this deeply moving drama. My love goes out to you, sweetheart. I promise to watch this again. Episodes One Through Six of “Scent Of A Woman” with eng and other language subs can be found on www.viki.com. Our own Kim Junsu made his cameo appearance in Episode Five on the 6th of August. FANACCOUNT “Asia’s Star Xiah Junsu” Participated in Junsu’s Cameo Shoot!!! 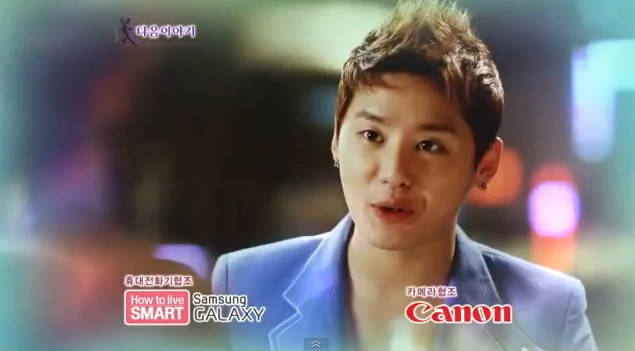 [FanAccount] “Asia’s Star Xiah Junsu” participated in Junsu’s Cameo SHoot!!! 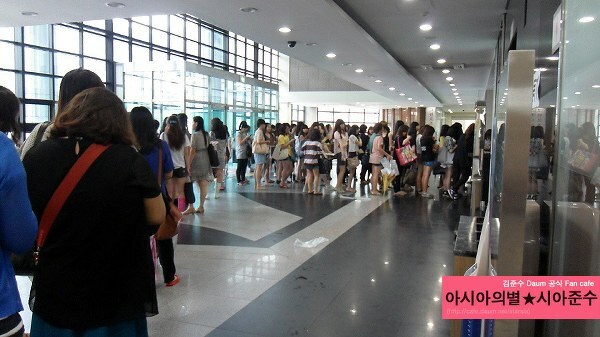 The foreign fans who crossed the ocean to come to Seoul! 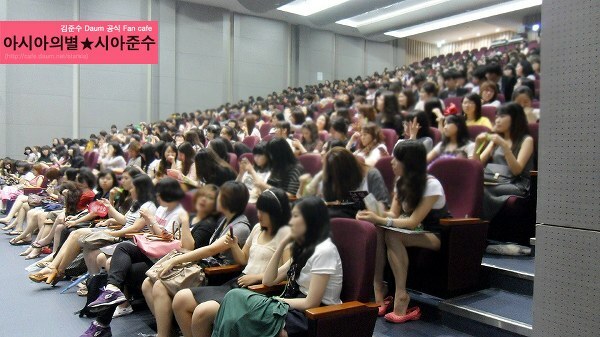 These are the many many fans of Junsu who are stretched out beyond Asia to the USA and Europe. Even if the words do not communicate well, it seemed that the passion with which we love Junsu made all of us one! 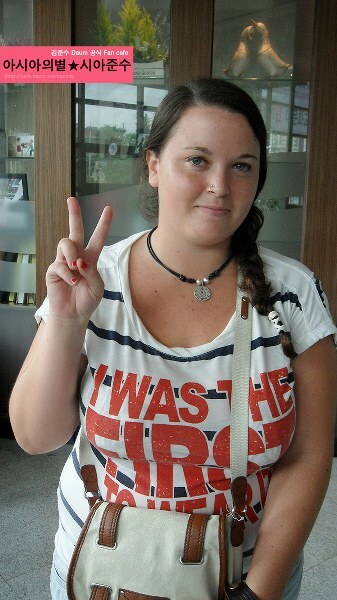 This is a fan from Spain who says she loves Junsu very very much. 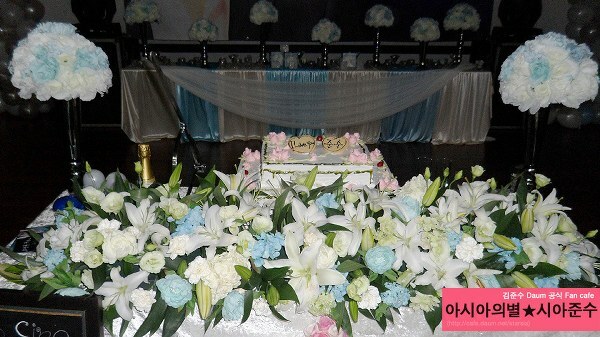 Further, the actors Kim Sunah-nim and Um Kijoon-nim who looked at us with kindness and supported us with passion! And Lee Dongwook-nim who stretched out his thumbs even and said hello ^.^ We are very thankful! Looking forward to us being able to see him on a stage soon! 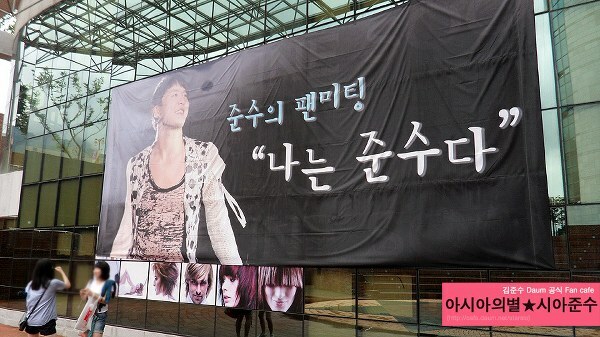 (Our website) Asia’s Star Xiah Junsu supports “Asia’s Star” Junsu.